Vale do Lobo has long been recognised as a leading luxury resort, combining first class golfing and sports facilities with unrivalled experiences and property options. The award from Today’s Golfer reaffirms the resorts continued success and commitment to quality, innovation and service. 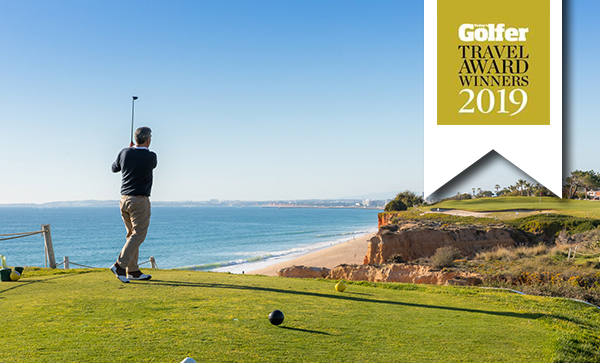 Vale do Lobo Golf Director Hernani Estevão said: “It is with great pride that we once again receive this recognition from the Today’s Golfer Travel Awards. The Royal and The Ocean Golf Courses provide unique and challenging golf for players and this combined with the superb facilities of the resort allow us to offer a complete luxury golfing experience for residents and visitors alike”. Vale do Lobo offers a diverse range of holiday and golfing experiences in the heart of the Algarve, with the region also highlighted at the awards with the Algarve being voted Best Golf Destination in Continental Europe. Vale do Lobo offers a diverse range of luxury holiday and golfing experiences. For further information please e-mail tourism@vdl.pt call Vale do Lobo Resort Reception T. +351 289 353 322.